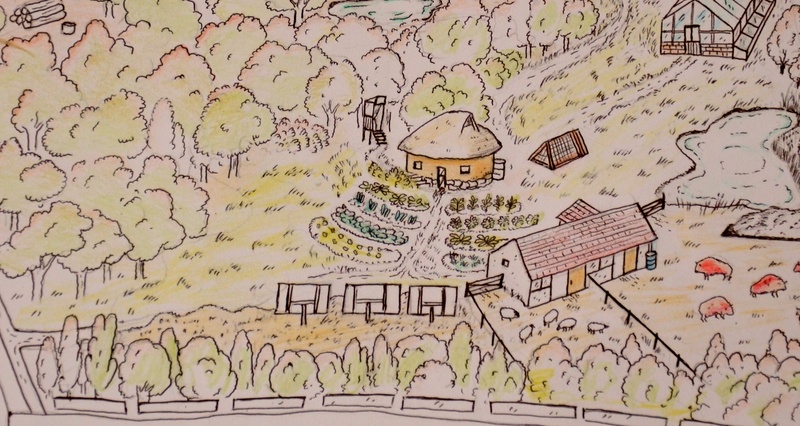 Permaculture is a regenerative design intention reflecting patterns in nature that seeks to build interconnections allowing for energy efficiency and abundance of yield. Permaculture is the harmonious integration of all life into agriculturally productive ecosystems and socially just environments producing sound economic outcomes through systems management. from Introduction to Permaculture by Bill Mollison. 6. Energy Cycling: Permaculture systems intend to stop the flow of energies off-site and instead turn them into cycles. The interaction between plants and animals produces energy, which is caught, stored, used and re-cycled. Incoming energy –sun, water, wind, manures– are used at its highest possible use, then its next highest, and so on.